OK! What about avast! FREE RUN? For starters, an old friend called me with a proposal that his company could produce those shirts for us in Italy! Well, we need to see about the price but I certainly thank you for the tip. Someone else suggested that we should send these shirts as a gift to other AV companies – and he suggested AVG where several top managers are cycling enthusiasts. I think this is great idea – wouldn’t that be nice advertising! And last but not least, even my local banker asked me for a free shirt (I thought bankers are rich… ) with a promise that he would wear it at his next cycling race. All of this attention and the multiple comments from cyclo-maniacs sparked an idea. In addition to cycling, there must be a number of RUNNING fans among the 160 million AVAST users. I do this myself a little bit. In fact, I did try to run the Prague marathon two years back. It was incredible how many people were at the starting line. And Prague doesn’t even compare to New York City Marathon where over 30 000 people make it to finish line. So runners, are you planning to sign up for a marathon in NY, London, Boston, Paris, Sao Paulo, Prague or elsewhere? 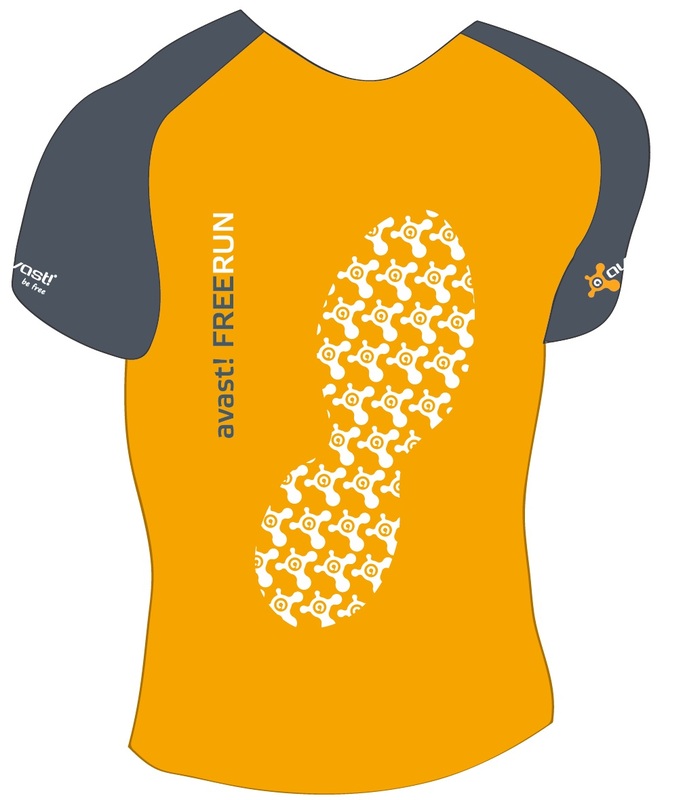 How would you like a fancy and performance-fabric-made running shirt for free? Sounds appealing? Let me know and have a nice weekend. The weather in Prague has finally warmed up to the summer-expected level so I actually should be able to go for a run.